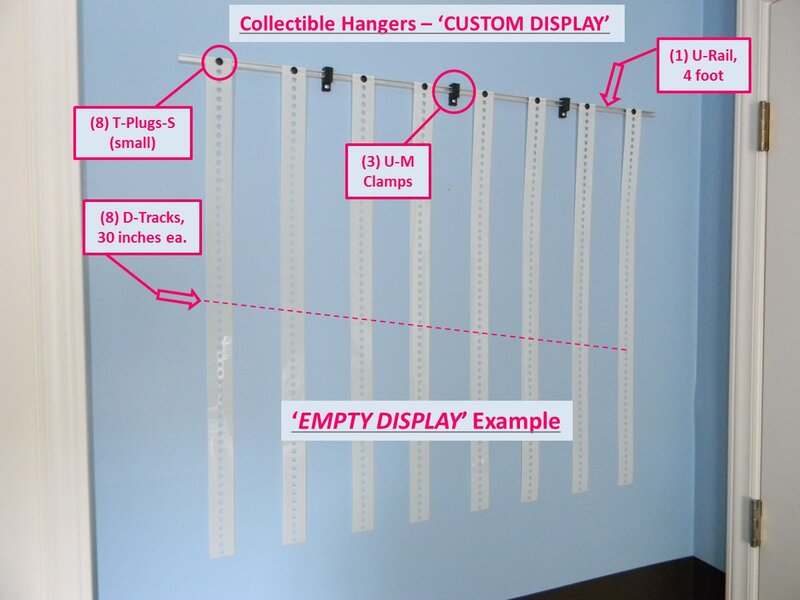 This first example is a custom Collectible Hangers Display. Before “Hanging Packages” are placed on the Collectible Hangers Display’s D-Tracks with T-Plugs. You can see how the pieces fit together before we place the chosen Blister Packs/cards onto the display. 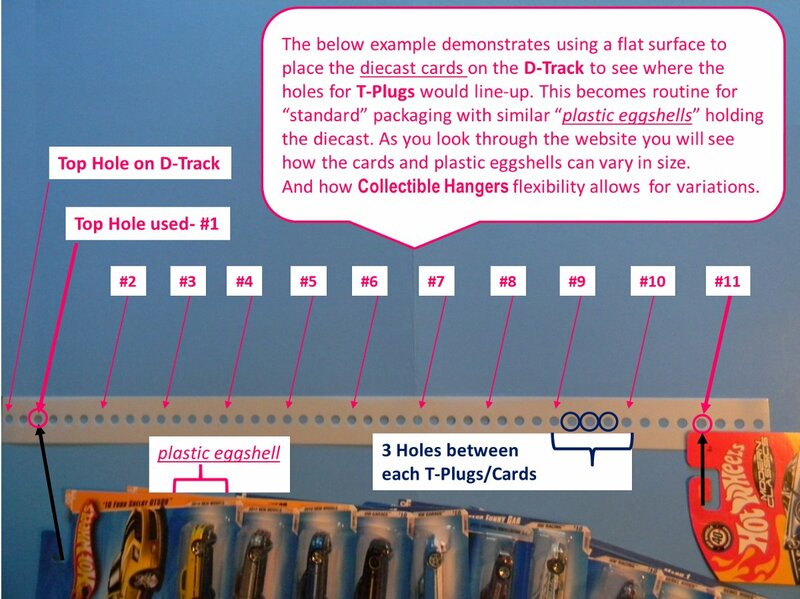 After “cards/packages” are placed on the Collectible Hangers Display D-Tracks with T-Plugs. 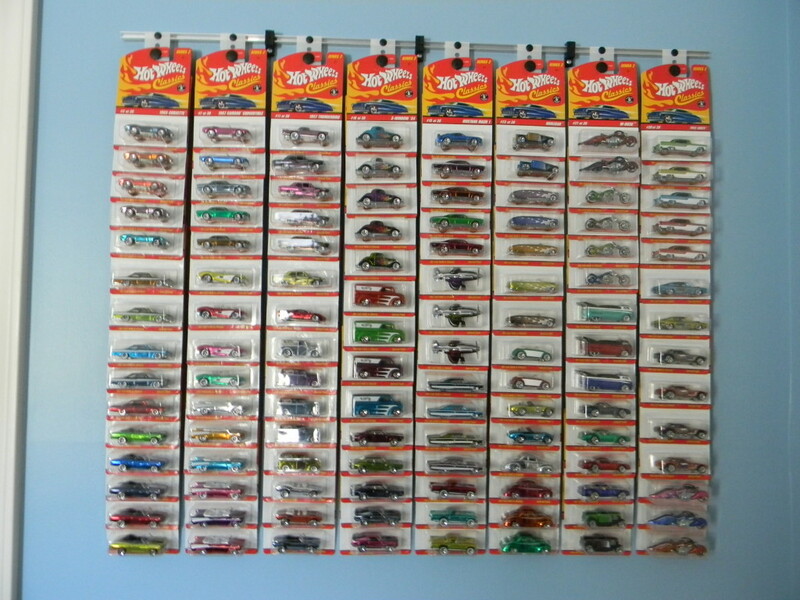 (This example uses “Full-face Blister Pack cards”) You should now have a good idea on how it works and how flexible this can be for all types of hanging packaging…especially in the area of diecast vehicles. Next let’s look at our standard 55 car (max.) product- Part# 02-05-11-055. The picture below shows the D-Track has been placed on a table with the Blister Packs next to it. This allows us to see where holes will line up. This has 11 Blister Packs (or cards/cars) on each D-track. There are 3 holes between T-Plug placement of each Blister Pack/card/car to the D-Track. 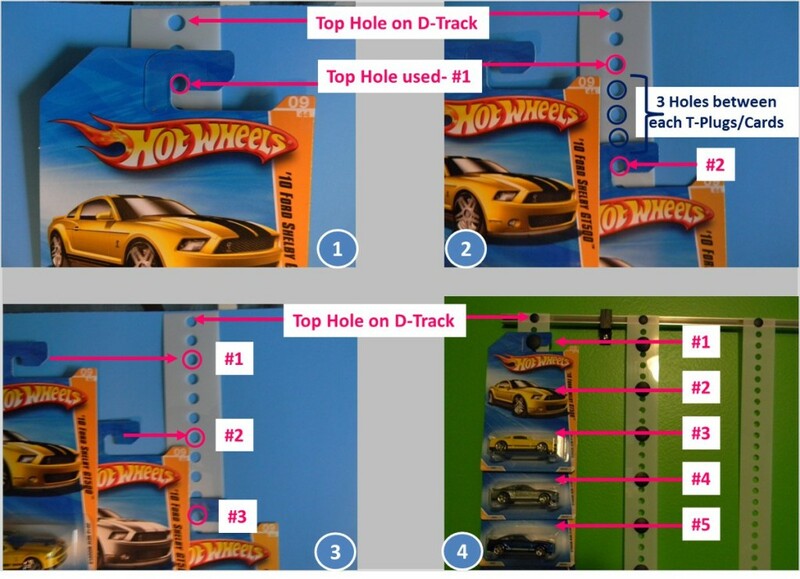 The next picture shows relative placement of the Blister Packs/cards/cars onto the D-Track with the appropriate T-Plugs. 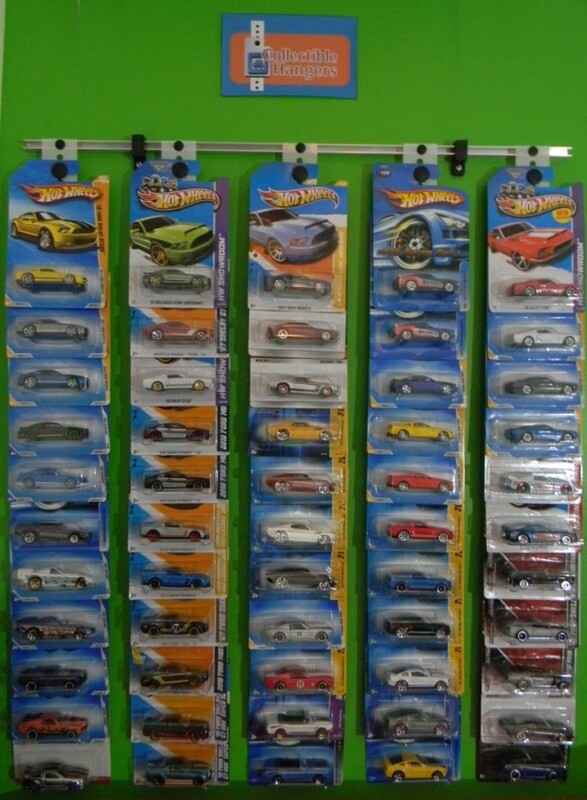 Below is a picture of the Collectible Hangers display using-Part# 02-05-11-055. Options are limitless.